When Google introduced the knowledge graph one of their underlying messages behind it was "you can't copyright facts." Facts are like domain names or links or pictures or anything else in terms of being a layer of information which can be highly valued or devalued through commoditization. When you search for love quotes, Google pulls one into their site & then provides another "try again" link. Since quotes mostly come from third parties they are not owned by BrainyQuotes and other similar sites. But here is the thing, if those other sites which pay to organize and verify such collections have their economics sufficiently undermined then they go away & then Google isn't able to pull them into the search results either. The same is true with song lyrics. If you are one of the few sites paying to license the lyrics & then Google puts lyrics above the search results, then the economics which justified the investment in licensing might not back out & you will likely go bankrupt. That bankruptcy wouldn't be the result of being a spammer trying to work an angle, but rather because you had a higher cost structure from trying to do things the right way. Never trust a corporation to do a librarian's job. Where there are multiple versions of the software available, Google is arbitrarily selecting the download page, even though a software publisher might have a parallel SAAS option or other complex funnels based on a person's location or status as a student or such. their software being advertised on their brand term in Google via AdWords ads, engaging in trademark infringement and bundled with adware. The company used this cash to build more business, spending more than $1 million through at least seven separate advertising accounts with Google. The ads themselves said things like “McAfee Support - Call +1-855-[redacted US phone number]” and pointed to domains like mcafee-support.pccare247.com. 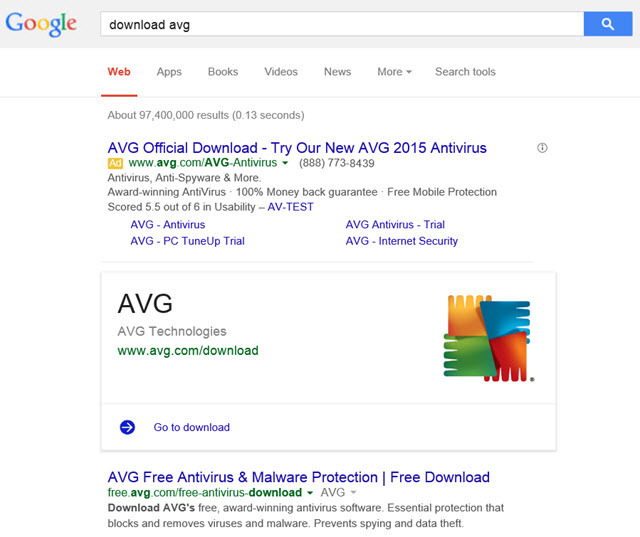 Since Google requires Chrome extensions be installed from their own website it makes it hard (for anyone other than Google) to monetize them, which in turn makes it appealing for people to sell the ad-ons to malware bundlers. Android apps in the Google Play store are yet another "open" malware ecosystem. Google started the knowledge graph & onebox listings on some utterly banal topics which were easy for a computer to get right, though their ambitions vastly exceed the starting point. The starting point was done where it was because it was low-risk and easy. Even as the people who routinely shill for Google parrot the "you can't copyright facts" mantra, Google is telling you they have every intent of expanding far beyond it. “I see search as the interface to all computing,” says Singhal. To some, the separation of branding makes YouTube distinct and separate from Google search, but that wasn't so much the case when many sites lost their video thumbnails and YouTube saw larger thumbnails on many of their listings in Google. In the above Steven Levy article he wrote: "one of the highest ranked general categories was a desire to know “how to” perform certain tasks. So Google made it easier to surface how-to videos from YouTube and other sources, featuring them more prominently in search." Whenever Google implements a new feature they can choose to not monetize it so as to claim they are benevolent and doing it for users without commercial interest. But that same unmonetized & for users claim was also used with their shopping search vertical until one day it went paid. Google claimed paid inclusion was evil right up until the day it claimed paid inclusion was a necessity to improve user experience. There was literally no transition period. 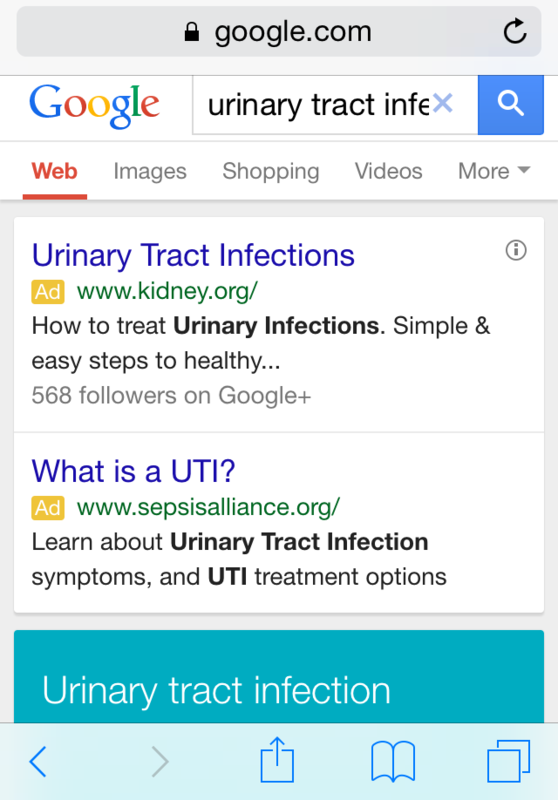 Many of the "informational" knowledge block listings contain affiliate links pointing into Google Play or other sites. Those affiliate ads were only labeled as advertisements after the FTC complained about inconsistent ad labeling in search results. starting in the next few days, when you ask Google about common health conditions, you’ll start getting relevant medical facts right up front from the Knowledge Graph. We’ll show you typical symptoms and treatments, as well as details on how common the condition is—whether it’s critical, if it’s contagious, what ages it affects, and more. For some conditions you’ll also see high-quality illustrations from licensed medical illustrators. Once you get this basic info from Google, you should find it easier to do more research on other sites around the web, or know what questions to ask your doctor. Google's links to the Mayo Clinic in their knowledge graph are, once again, a light gray font. Cynics might say that Google is moving into yet another vertical content area and usurping third-party publishers. I don’t believe this is the case. Google isn’t going to be monetizing these queries; it appears to be genuinely motivated by a desire to show higher-quality health information and educate users accordingly. Google doesn't need to directly monetize it to impact the economics of the industry. If they shift a greater share of clicks through AdWords then that will increase competition and ad prices in that category while lowering investment in SEO. If this is done out of benevolence, it will appear *above* the AdWords ads on the search results — unlike almost every type of onebox or knowledge graph result Google offers. If it is fair for him to label everyone who disagrees with his thesis as a cynic then it is of course fair for those "cynics" to label Greg Sterling as a shill. Google told me that it hopes this initiative will help motivate the improvement of health content across the internet. By defunding and displacing something they don't improve its quality. Rather they force the associated entities to cut their costs to try to make the numbers work. When the numbers don't work, publishers need to cut back or cut corners. Things get monetized directly, monetized indirectly, or they disappear. Some of the more hated aspects of online publishing (headline bait, idiotic correlations out of context, pagination, slideshows, popups, fly in ad units, auto play videos, full page ad wraps, huge ads eating most the above the fold real estate, integration of terrible native ad units promoting junk offers with shocking headline bait, content scraping answer farms, blending unvetted user generated content with house editorial, partnering with content farms to create subdomains on trusted blue chip sites, using Narrative Science or Automated Insights to auto-generate content, etc.) are not done because online publishers want to be jackasses, but because it is hard to make the numbers work in a competitive environment. If we lose some diversity in news it isn't great, though it isn't the end of the world. But what makes health such an important area is it is literally a matter of life & death. Its importance & the amount of money flowing through the market ensures there is heavy investment in misinforming the general population. The corruption is so bad some people (who should know better) instead fault science. Not to worry though. Any user trust built through the health knowledge graph can be monetized through a variety of other fantastic benevolent offers. Once again, Google puts the user first.